Bally products are uniquely designed to save you time and money as you build, and keep future operating costs to a minimum. Bally's durable, pre-engineered panels reduce construction costs and provide superior durability. Our Refrigeration Products keep your structure at just the right temperature while being energy efficient. The Bally Parts Department offers Adapt-A-Doors and Replacement Parts that provide complete maintenance. A reinforced U-channel steel frame with thermal break is built into every Bally door panel. This ensures doors swing freely, seal tightly, and don't twist or sag. 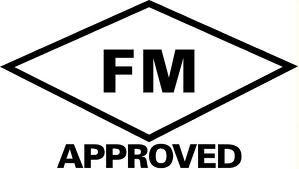 Our products are in compliance with the Energy Independence and Security Act of 2007, and additionally backed with approvals and listings from leading independent quality certification organizations. Buyers can be sure that Bally products live up to these stringent standards. EISA Bally panels and refrigeration systems are in accordance with the Energy Independence and Security Act of 2007. 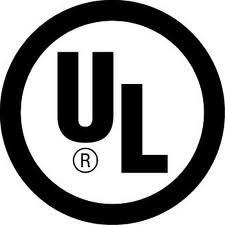 Underwriters Laboratories Flame spread and smoke developed listings appear on tags on every Bally panel; proving that the panels are UL-classified. UL listings have also been granted to electrical systems in Bally structures, including interior lights, door heaters and refrigeration systems. 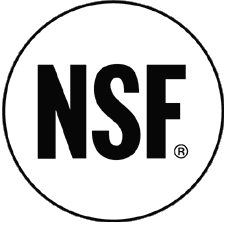 National Sanitation Foundation Bally installations that incorporate floor panels with a 3/8" coved offset are Certified by NSF. New York City: Stringent tests on our urethane insulation have earned Bally panels the Materials and Equipment Approval of the City of New York. To conform to the standards imposed by the city's Advisory Board, Bally makes special wiring systems and low-voltage heaters when needs dictate. Miami-Dade County: The Miami-Dade County Product Control Section has posted its Notice of Acceptance (NOA) for Bally Walk-In Coolers and Freezers. This means that our panels marked with the Miami-Dade/Bally labels are approved to resist high velocity hurricane zones forces and both large and small debris impacts. Miami-Dade County, Florida, NOA # 17-0830.08 Expires: 2-7-2023. Bally holds many other state and municipal code approvals. Contact us for more details. Bally's insulation performs at temperatures ranging from -90°F to 212°F. The lightweight panels are easy to transport and work indoors or outdoors. Ceiling & Floor Panels are available, single span, up to 17' 4" on indoor Walk-Ins. Vertical panels are available up to 27' 8". Special reinforced ceiling panels are also available for exterior applications where heavier snow & ice loading are required; this option could potentially eliminate the need for interior steel support. The Standard Walk-In Cooler & Freezer Quick Ship program includes over 700 different designs that can be shipped quickly anywhere in the continental U.S. Standard Walk-In Cooler & Freezer products are stocked in North Carolina, Pennsylvania, and Texas.